With the NHL declining to send its players to the 2018 Winter Olympics, there is, admittedly, a lack of star power in the men’s hockey tournament in Pyeongchang, South Korea. The highly anticipated Connor McDavid vs. Auston Matthews showdown won’t happen this year. There will be no Carey Price heroics or Sidney Crosby golden goals. That said, no NHLers doesn't mean no excitement. 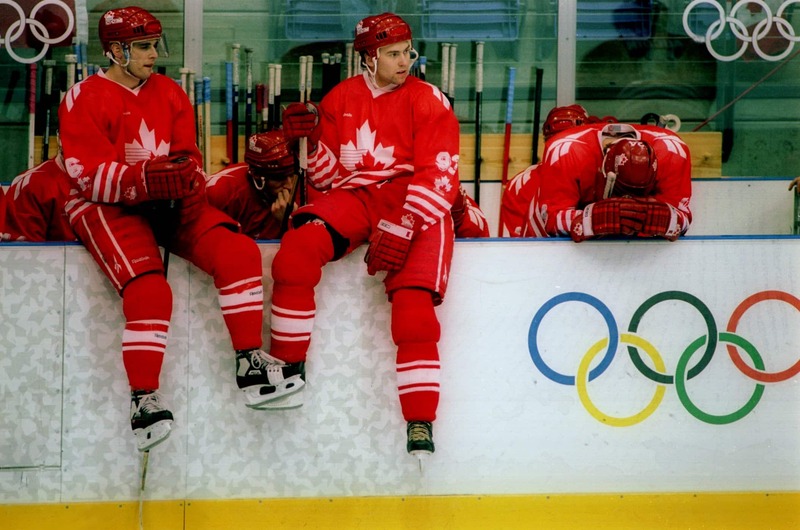 The last time the world’s top hockey league did not participate fully in the Olympics, in 1994, there were plenty of memorable moments. In fact, former NHL superstar Paul Kariya, who was recently enshrined into the Hockey Hall of Fame, says playing in the 1994 Games in Lillehammer, Norway was the best thing that ever happened in his career. That’s quite a statement when you consider Kariya, now a 43-year-old surfer dude living in Southern California, was a member of Canada’s gold-medal team in 2002 in Salt Lake City. The Canadian team was a hodgepodge of players — some trying to make it to the NHL, some on their way out and a few players involved in contract disputes. It even included Petr Nedved, a Czechoslovakian defector who obtained his Canadian citizenship in time to play in the Games. The tournament was a thriller, culminating in a nail-biting gold-medal game between Canada and Sweden that went to overtime and then a shootout. It concluded with one of the most remarkable and memorable goals ever scored in the Olympics — future Hall of Famer Peter Forsberg’s one-handed deke to beat Corey Hirsch, an image that ended up on a Swedish postage stamp. It was a goal for the ages, and one that showed you don’t always need the biggest stars to get a gripping hockey tournament. Growing up in Cranbrook, B.C., Tom Renney was infatuated with the Canadian men’s national hockey team. So when, in 1992 — fresh off coaching the Kamloops Blazers to the Memorial Cup championship and landing a three-year contract extension — Renney was offered the opportunity to coach the Olympic squad, he jumped at it. Blazers owner Bob Brown said he would never stand in the way of anybody pursuing his dream job and agreed to terminate the new deal. Renney’s dream of coaching the Canadian men’s national team had come true. “When I was 12 years old, Father David Bauer [an ordained Catholic priest and longtime executive with the national team] came and spoke at a minor hockey banquet in my hometown,” Renney recalls. That did not happen, but Renney never took his eyes off the prize. He got into coaching and, while others in his position had aspirations of working behind the bench of an NHL team, Renney had a different goal in mind. Dany Dube was hired as a co-coach with Renney for the 1992-93 season, while George Kingston, who had considerable international hockey experience, was made the team’s director of hockey operations. Paul Henry was added as a scout, and went to work with Kingston on constructing the roster. Thus began the long and onerous chore of building an Olympic hockey team. The Team Canada dressing room could have used a revolving door as 77 players suited up for at least one game during the 1992-93 season. Among them was Greg Johnson, who would go on to play in the ’94 Olympics before embarking on an NHL career where he’d appear in 785 games. Other former and future NHLers included Derek Laxtal, Brad Werenka, Serge Boisvert, Ken Yaremchuk, Marc Habscheid, Cory Stillman and Aaron Ward. Brian Propp, who was 33 and had 934 NHL games to his credit, played three games and had three goals and four points. Brett Lindros, 16 years old at the time, played 11 games, scoring a goal and seven points with 33 penalty minutes. Adrian Aucoin, then 19, played 42 games with the national team, scoring eight goals and 18 points. Chris Therien, 20, played eight games with Team Canada and also spent time with Providence College and the Hershey Bears of the American Hockey League. Both players made the Olympic team. “I had just finished my junior year at Providence and the Philadelphia Flyers, who drafted me in 1990, were expressing a lot of interest in me,” Therien says. “Paul Henry told me if I didn’t want to go to the NHL or I thought I’d be spending time in the minors, I could still get good experience playing at a high level with the national team. He said if I played well enough I’d get a shot at making the Olympic team the following year. Therien played well enough in his ’92-93 audition that he was signed to a contract to play with the Olympic team the following year. He didn’t need to worry about being cut, even if he played sparingly in the Olympic tournament. Interestingly, when the 1993 world championship rolled around, just three players that would ultimately play for the Olympic team — Johnson, Kariya and Brian Savage — would play for Team Canada. The rest of the team was made up of NHL players. When the 1993-94 season began, it was time for the Olympic team to get down to business. Leading up to the Games, Team Canada continued to play exhibitions, including a series of games against the United States. Renney was named the head coach of the team and Dube was named associate coach. Slowly, but surely, the final roster started to come together. Kariya agreed to play for the Canadian team, but was allowed to spend the first semester studying at the University of Maine and playing NCAA hockey. He joined the Olympic team in December. Team Canada was fortunate to land a few NHL players who were at odds with their teams. Chris Kontos, who scored 27 goals and 51 points in 66 games with Tampa Bay in 1992-93, turned down what he felt was an unflattering offer to remain with the Lightning and elected to play for his country. Kontos, along with Todd Brost, had been a last-minute cut from Canada’s 1992 Olympic team after it secured the services of NHLers Dave Tippett and Dave Hannan. Even though his desire was to land an NHL contract in 1993-94, he decided to take another shot at playing in the Olympics. Kontos was a very good NHL player who enjoyed a couple of career highlights, including scoring nine goals in 11 Stanley Cup playoff games for the Los Angeles Kings in 1988-89. Renney was happy to have him aboard. Then there was Hirsch. The goaltender was coming off his rookie season in the New York Rangers organization, where he was the AHL goalie of the year and rookie of the year with the Binghamton Rangers. He believed his future was bright and that he would ultimately replace John Vanbiesbrouck. The dream went up in smoke when the Rangers signed veteran Glenn Healy to a four-year contract for $1 million US per season. Hirsch was loaned to the Canadian Olympic team. The strangest addition to the team was Nedved. Born in Liberec, Czechoslovakia in 1971, he had defected to Canada as a teenager. After playing three NHL seasons with Vancouver, the 21-year-old was at an impasse in his contract negotiations with the Canucks. Having never played internationally for his home country, Nedved was eligible to represent Canada at the Olympics after attaining his Canadian citizenship. The players on Team Canada were thrilled when they got the news that Nedved was in, even if they didn’t quite understand the mechanics of how a Czech could play for Canada at the Olympic Games. “It’s amazing what can happen when you tell your government you need a guy to help you win an Olympic gold medal,” Therien says. The Canadian coaching and management staff’s plan was to ice a skilled two-way team that could attack and put pressure on the opposition from an offensive standpoint. Because there were so many players moving in and out of the lineup leading up to the Games, Canada was late in building the team chemistry that would ultimately allow it to get to the gold-medal game. “The constant shuffling in and out of players was a nightmare, an absolute nightmare,” Therien says. “Guys were coming in and out all the time. A few of us young guys had contracts so we didn’t have to worry, but for some guys it was a terrible experience. You could be with the team one day and the next day get a random phone call from Tom Renney telling you you’d been let go. You were trying to build team chemistry, but guys were coming and going all the time. Things started to come together when Kariya and Nedved joined the team. Suddenly a team that was goal-challenged had two legitimate scoring threats. Throw 22-year-old Brian Savage into the mix and you had some serious offensive oomph. Still, Canada was not regarded as a medal threat for the Games in Lillehammer. Hirsch, however, struggled as the Olympic Games were drawing near. Hirsch recalls being concerned about losing his job with the team and was thankful for the reassurance from his coach. It turned out to be a great decision on Renney’s part as Hirsch played brilliantly at the Olympics. Had there been full NHL participation, the likes of Wayne Gretzky, Doug Gilmour, Joe Sakic, Mark Messier, Joe Nieuwendyk, Ray Bourque, Al MacInnis, Steve Larmer, Eric Lindros, Theoren Fleury and Brendan Shanahan, among others, would have been called upon to represent Canada. As it was, Canada’s final roster included Hirsch, Manny Legace and Allain Roy in net; Aucoin, Therien, Derek Mayer, Brad Werenka, Ken Lovsin, David Harlock and Brad Schlegel on defence; Kariya, Nedved, Kontos, Savage, Todd Hlushko, Fabian Joseph, Dwayne Norris, Wally Schreiber, Greg Parks and Jean-Yves Roy at forward. There weren’t a lot of household names on the team, but Hirsch was convinced Canada could find success. Canada played in a handful of pre-Olympic tournaments, including the Izvestia Cup in Russia, the Globen Cup in Sweden and another event in Anchorage, Alaska. The team also toured through North America and Europe playing exhibition games. It was a tough schedule and Team Canada suffered its share of defeats. The players, however, believed in Renney and kept working hard. Renney felt good about his squad going into the Games. Canada’s unheralded team opened the Olympic Games with a 7-2 win against Italy and followed that with a 3-1 victory against France. Canada tied the United States 3-3 and then lost 3-1 to Slovakia before concluding the preliminary round with a 3-2 win against Sweden. Did Renney lose faith after Canada tied the States and lost to Slovakia? Kariya, just 18 at the time, scored the overtime winner in Canada’s 3-2 win over the Czech Republic in the quarter-finals. Then, in the semifinals, Canada defeated Finland 5-3. After falling behind 2-0, Canada rattled off five straight goals to secure the win. With the victory, Canada was suddenly assured of winning at least a silver medal. With full NHL participation, it’s gold or bust for Canada. But back in ’94, with a rag-tag team of hockey vagabonds, just making it to the final game was quite an accomplishment. The gold-medal game was played on Feb. 27 before 9,187 fans at Hakons Hall in Lillehammer. Sweden took a 1-0 lead in the first period on a goal by Tomas Jonsson and the second period was scoreless. In the third period, Kariya tied the game at 9:08 and Mayer scored the potential game-winner at 11:43. Suddenly the team that nobody thought would amount to much had a gold medal within its grasp. Renney admits, all these years later, that it occurred to him as the clock ticked toward 60 minutes that Canada could win it all. “Just because we wanted it that bad,” he says. Magnus Svensson tied it 2-2 with a power-play goal with 1:49 remaining in regulation and then the teams went scoreless in overtime. So on to the shootout. And here’s where things got a little weird. For starters, Canada’s plan entering the game was to replace Hirsch with Legace if the game got to a shootout. That plan was squelched when Legace was injured in warm-ups, which meant Roy dressed as the backup. Not that Hirsch ever believed he’d actually be pulled. Nedved shot first for Canada and snapped a shot past Tommy Salo, who went on to play 526 NHL games, high to the glove side. Hakan Loob, who played 450 games with the Calgary Flames between 1983 and 1989, shot low on Hirsch and was stopped. Kariya was up second for Canada and followed Nedved’s lead, beating Salo glove-side high. With Canada holding a convincing 2-0 lead in the five-man shootout, gold seemed almost inevitable. That feeling didn’t last long. Svensson, a defenceman, got it back for Sweden when his deke froze Hirsch. Norris, Parks and Johnson missed for Canada on its next three shots and Forsberg, Sweden’s fourth shooter, beat Hirsch with a backhand deke. With the shootout now in sudden-death mode, Svensson shot first and missed. Nedved was up next and made a move that should have given Canada gold. No luck, though. Forsberg then scored the goal of a lifetime. The man who would go on to win the NHL’s rookie of the year award the following season, capture the scoring title and MVP honours in 2002-03 and win two Stanley Cups with Colorado faked to his left, causing Hirsch to follow him. Then, with one hand on his stick, the 20-year-old Swede reached back and allowed the puck to roll off his blade and into the yawning cage. That left Kariya to try to tie it for Canada and keep the shootout alive. Kariya headed to centre ice prepared to shoot, but an off-ice official held his arm up, signaling for the player to wait. And wait. And wait. He did. But Salo stopped it. Gold: Sweden. Silver: Canada. Bronze: Finland. The baby-faced Kariya led Canada in scoring in the tournament with three goals and seven points. Nedved came through with five goals and six points while Hlusko, who was a secondary scorer in junior and in the minors, surprised with five goals in eight games. The no-name defence was solid and Hirsch was superb. A silver medal wasn’t what he planned for, but Renney was proud of his team’s accomplishment nevertheless. He’d go on to be a head coach in the NHL with Vancouver, the Rangers and Edmonton and is now involved in getting Team Canada ready for the 2018 Olympics as the president and CEO of Hockey Canada. “We were picked to finish seventh or eighth and not even come close to making the medal round,” Renney says. “So to beat the teams we did, including Finland, which was undefeated until we beat them, I am still very proud of that team.